The capacity crowd had a ball yawl! 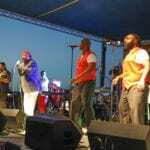 NASHVILLE, TN — What would a Labor Day Weekend be with football, down home BBQ and great classic soul music? Those were the makings for the 5th Annual Old School BBQ Festival that took place during this past Labor Day Weekend. TSU’s Annual John Merritt Classic football game as always, delivered with plenty of fun and excitement! 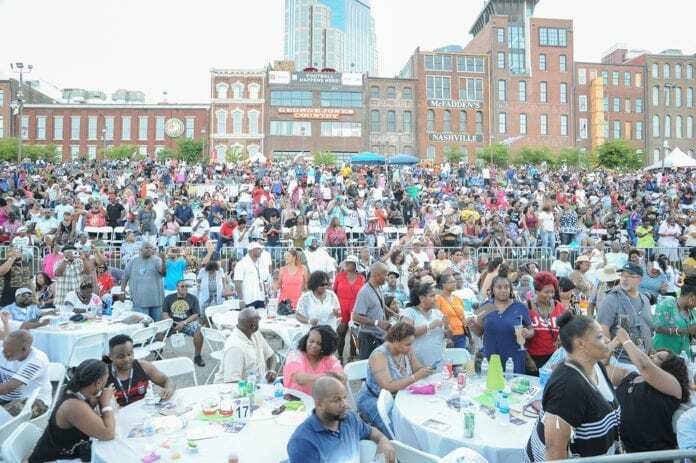 The day after the big game, the BBQ Festival took place at Nissan Stadium in Riverfront Park. Not only was the food, dancing, and music awesome but the marketplace area was buzzing with sales in arts & crafts, CD’s t-shirts, gifts, along with plenty of games, photo-ops, selfies and fun activities for the millennials too. 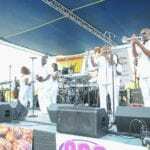 Soul/funk/jazz band Karma Photos by Earl Flippen, Jr.